Apart from being an author, Eleanor Moran works as TV Drama executive and has worked on all kinds of shows from Rome to Being Human. 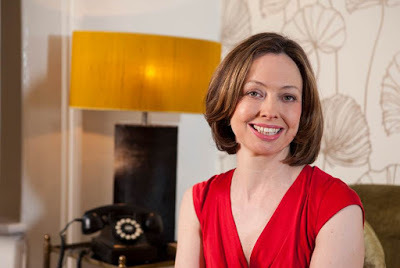 After attending an Arvon Course she wrote her first novel, Stick or Twist. 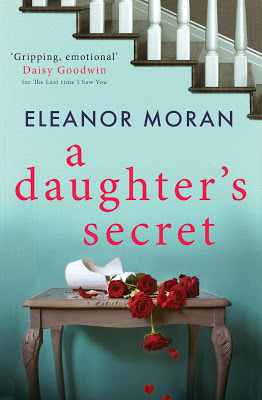 Now her latest A DAUGHTER’S SECRET was published 6th August 2015. SHOTS sent our intrepid interviewer, Laura Harman, to find out more about both Eleanor and the book. Hi Eleanor. Thank you for answering my questions today. The concept of the father-daughter relationship is central to the book. What do you think it is about father-daughter relationships that makes them so vital? Our relationship with our father creates a blueprint for the rest of our lives, for good or ill. If our fathers make us feel loved and cherished, we learn to value ourselves and choose relationships which reflect our self-belief. If that first relationship is painful and damaging, the effects ripple out far beyond childhood. My own father was a very complex character, and it took me many years to unravel our story. A Daughter’s Secret is not autobiographical, but it certainly explores the danger of locking the past in a box and kidding ourselves it will stay hidden. Mia, my heroine, is a brilliant psychotherapist, but she’s still doing battle with her demons. There's a strong sense in the book that women put too much pressure on themselves, and find too much pressure on them from outside sources. Do you think this is an issue most women face? Definitely! There’s an incredible professor called Brene Brown who did a Ted talk on vulnerability that got something crazy like 12 million hits. She writes extensively about how we ‘armour up’ to try and defend ourselves from the crazily unrealistic expectations that are put on us. To be fair, I think there are a lot of expectations on men too - they’re just different ones. We all need to give ourselves a break. You have had a wide-ranging career. Do you find that the industries in which you work are friendly, and becoming more friendly, towards women? I’ve had a great time working in television. I’m Head of TV at a production company called 42 (we’re currently making Watership Down for the BBC) and I think it’s a wonderful environment. The BBC, where I worked for many years, is stuffed full of women in senior positions. As far as books go, I think ‘women’s fiction’ can get a bit ghettoised, but I love the women’s fiction community. Mia is a therapist but it feels as though not everyone understands the complete importance of her role. There is a great deal of stigma still surrounding mental health in this country. Do you think that therapy, or talking treatments, allow people the freedom to explore these issues without needing to use a ‘doctor'? I’m a huge fan of therapy. I also think people should feel no stigma about taking anti-depressants if they need them. If one person reads A Daughter’s Secret and is encouraged to seek help, or gets some insight into how therapy can make you feel seen and heard, that would be wonderful. You have spoken about your unconventional upbringing. Did you ever long for something more 'normal', something to rebel against? Of course! But don’t we always long for the opposite growing up? I’m sure if I’d grown up in Surbiton with a pony I’d have longed to grow up in Hackney and wave placards at demonstrations with radical parents (this is what happened - I was always longing to be back on the sofa watching Neighbours). Which process is more satisfying (or frustrating!) to you – bringing a TV production or a book to completion? Finishing a book is SUCH a labour of love. There’s always a point about a third in when I think I can’t do it and the plot won’t work. I’m writing book six right now and I’m trying to finally learn to ignore that evil voice. A TV production is a different kind of labour of love - there are so many peopleinvolved and it often takes years to go from the beginning of an idea to seeing it on screen. It’s a marathon, not a sprint. Throughout Mia's relationship with Jim, I felt a much stronger love between her and her best friend, Lysette. What can women get from friendship with each other that they can't get from men? There’s lots of research that attests to how vital our close friendships are. For example, women suffering from cancer have significantly increased survival rates if they have them. Women understand the struggles and joys of being a woman. I couldn’t imagine my life without my tight knit group of best girlfriends. And what, aside from the obvious, can't women get from women? I think that men and women are very different, and our male partners give us a lovely holding energy that’s very precious. Comedy, drama, biopics, crime. Could you pick a favourite genre to work in, regardless of media? TV-wise, I love material that’s not crime (so much is!). The Good Wife is my complete obsession, I welled up when Mad Men ended, Brothers and Sisters made me cry almost every episode. My first three novels were rom-coms, and I still have to smuggle jokes in now my books have more of a thriller bent. I think you have to have characters who are compelling and believable and flawed in whatever genre you’re working in - I’m working on a big crime thriller for the BBC right now, and we’re putting all our energies into making sure the female detective is utterly unique. Do you have any further plans for Mia, with her potential new link to the police force? Yes - in my new book she goes to the idyllic rural community where Lysette lives after one of the school mums commits suicide. It soon emerges there’s more to the death than meets the eye and Mia’s right in the heart of the action.